176 pages | 10 B/W Illus. Rooted in a long and diverse genealogy, biographical approaches have developed from a focus upon a single story, a ‘life story’ and personal documents (e.g. diaries), to encompass (more routinely) autobiographical secondary and archival research and analysis - as well as multi-media, arts based creative multi-sensory methods. Biographical Research and practices as part of human understanding helps people to make sense of what has been and what is happening in their lives, cultures, communities and societies. 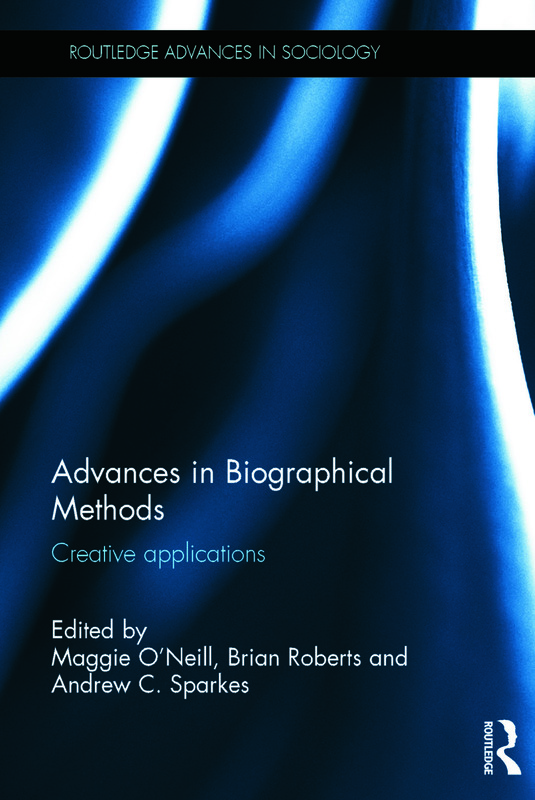 Advances in Biographical Methods: Creative Applications takes up these themes: theorising, doing and applying current advances in biographical methods. It demonstrates the momentum with which they areas are developing as a field of scholarship, especially in relation to creative innovations and applications, such as in new forms of interview and other practices, and debates on its interlinking with art, performance and digital methods. Professor Maggie O’Neill is Professor in Applied Social Sciences, Durham University. Professor Brian Roberts is Visiting Professor in the School of Applied Social Sciences, Durham University, UK. Professor Andrew C. Sparkes PhD is based in the Research Institute for Sport, Physical Activity and Leisure at Leeds Metropolitan University.